November 1, 2011 11:27 am By Lori Post contains sponsored/affiliate links and I get commissions for purchases made from links. As an Amazon Associate I earn from qualifying purchases. Also look for clearance Halloween and fall decor items. Many stores want to move them out fast to make room for Christmas decor. Lots of good deals to be had! August 29, 2011 12:00 pm By Lori Post contains sponsored/affiliate links and I get commissions for purchases made from links. As an Amazon Associate I earn from qualifying purchases. Christian Personal Finance has a great post today describing the purpose and benefit of a Spending Journal. 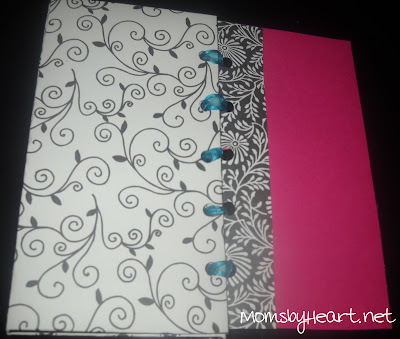 You can visit Get Buttoned Up if you’d like to get a free printable journal form. Personally, I find a simple notepad works better for me, because I have more room to take notes. August 9, 2011 6:00 pm By Lori Post contains sponsored/affiliate links and I get commissions for purchases made from links. As an Amazon Associate I earn from qualifying purchases. Partially Dry Clothes – Reader Elizabeth dries her shirts and pants for just 20 minutes and then hangs them up damp. She says it not only saves money, it also helps get rid of the wrinkles. 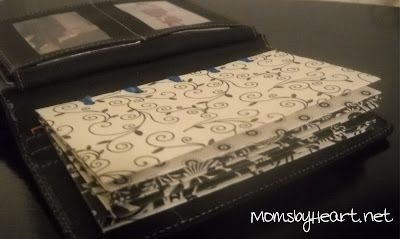 Do Laundry At Night – Nancy shared an easy way to save a few bucks. In some areas, utility companies offer discounted electric rates for off-peak hours. Drying your clothes at night also helps to avoid heating the house up during the hot summer days! Do a Double Spin – For larger items like comforters, use two spin cycles in the washing machine to remove as much water as possible before drying. Use the Power of the Sun – According to Mari and Jenette, you can place stubborn stains out in the sun and often the sun will bleach the stain out. I did NOT know that. This is a sponsored post for Church & Dwight Co., Inc, the maker of ARM & HAMMER branded products, who is compensating me to try different products. Save $1.00 on ARM & HAMMER Essentials Fabric Softener Sheets. And then head over to The Switch & Save Challenge to Keep up with all of the bloggers and enter to win $25,000. June 14, 2011 6:00 pm By Lori Post contains sponsored/affiliate links and I get commissions for purchases made from links. As an Amazon Associate I earn from qualifying purchases. Will it do the job? If it’s a new product that I’ve never tried, it’s hard to know the answer to this. That’s why I usually stick with products that have proven themselves unless it is a crazy good bargain and I can justify taking a chance on it. Bottom line, if the product doesn’t work then it’s not a value, no matter what I paid. Does it eliminate the need for other items? Any time I can permanently scratch something off my grocery list, it’s a good thing. Case in point: for the past few weeks, I’ve been using Arm & Hammer Plus OxiClean Power Gel laundry detergent. It has eliminated the need for a stain pre-treating product and also serves as an effective washing agent. So now I have one less thing to buy. Since pre-treaters are rarely bargain priced, this is big savings for me. You can head over HERE to get a $1/2 printable coupon good on any Arm & Hammer laundry detergent. Does it fit my needs and the needs of my family? I think this can be the biggest pitfall for bargain hunters. When we find a huge discount or hot clearance sale, our first instinct is to jump on it. Often it requires a bit of extra effort to step back and decide if this is something we actually need and will use regularly. Don’t let the bargain price distract you from the bigger picture: Is the item something my family will like? Is it something we need? Or is it in my cart because it’s on sale? Look at the per unit price listed on the store shelves, but don’t let that be the last word. Some products last longer because they are more concentrated or require less to do the same job. Compare prices at various stores and whenever possible, wait for a sale that you can combine with a coupon. Follow the store sale cycles and stock up when products are at the lowest possible price. This is a sponsored post for Church & Dwight Co., Inc., the maker of ARM & HAMMER branded products, who is compensating me to try different products. Save $1.00 on any 2 ARM & HAMMER Laundry Detergents. And be sure and head over to The Switch & Save Challenge for the chance to win $25,000. June 7, 2011 6:00 pm By Lori Post contains sponsored/affiliate links and I get commissions for purchases made from links. As an Amazon Associate I earn from qualifying purchases. UPDATE: GIVEAWAY IS OVER AND A WINNER HAS BEEN SELECTED. These days, most of us are feeling the pinch of the economy and looking for ways to trim the fat from our budget any way we can. We’re using coupons, shopping the clearance racks and opting for staycations to keep our budgets on track. Well here are a few ways to save yourself hundreds of dollars per year just by changing how you do laundry. I love it when I find ways to save that do not involve sacrificing! 1)	Wash on Cold or Warm Cycle As Often As Possible. Did you know that up to 90% of the cost of washing a load of laundry comes from heating the water? Unless your clothes are heavily soiled, cold or warm will work for most loads. 2)	Wait For a Full Load. 3)	Avoid Excessive Wash Cycles. Check your washing machine for light, normal or heavy soil cycles and be sure you’re using the light cycle whenever possible to avoid extra energy and water cost. 4)	Use a Good Quality Laundry Soap and Don’t Overdo It. Be sure to choose a detergent that works well and is a good value for the money, and use only the recommended amount per load. I recently switched over to Arm & Hammer Plus OxiClean Power Gel to help with stain removal and prolong the life of our clothing. 5)	Wash Clothing Inside Out to Prevent Fading. This is an easy step that I use to help our clothes stay new looking a little longer. By washing inside out, I can avoid some of the wear that comes from clothing rubbing together during washer agitation. 6)	Dry on Lower Heat and Don’t Overdry. I recently came across THIS laundry cost calculator and discovered it is costing me $.98 per load, with $.61 worth coming from the dryer! Remember to set your dryer on a lower heat setting and don’t overdry. 7)	Get a Portable Drying Rack. The best way to save on drying your clothes is to let nature do it! Consider using a portable clothesline or drying rack on at least some of your laundry to see a significant yearly savings. You can save a few loads every month by reusing towels before you wash them. Visit Remodelista for a cute Towel Hook Décor idea to help your plan along. 9)	Clean Your Lint Traps. Clothes will take longer to dry when your dryer cannot effectively move air through them. Keeping your lint traps clean can save you up to $40 per year. 10)	Only Wash What’s Dirty. A quick once-over of the laundry pile can eliminate a little extra expense. I can’t be the only one who has found a folded up shirt in the dirty clothes. Am I? Anyone? You can also check the pile for PJs or other articles of clothing that were worn once but are not yet in need of washing. THE GIVEAWAY: $25 VISA GIFT CARD!!! Share your favorite frugal laundry tip in the comments section. I’ll randomly select one comment to win a free $25 prepaid Visa gift card, courtesy of the folks at Church & Dwight. Winner will be chosen using random.org from among entries received before midnight central time on 6/13. Must be 18 years or older and a US resident to qualify, one entry per household please. This is a sponsored post written by me for Church & Dwight Co., Inc., the maker of ARM & HAMMER branded products, who is compensating me to try different products. All opinions are 100% mine. Save $1.00 on any 2 ARM & HAMMER Laundry Detergents. And be sure and head over to The Switch & Save Challenge for the chance to win $25,000. June 1, 2011 10:40 am By Lori Post contains sponsored/affiliate links and I get commissions for purchases made from links. As an Amazon Associate I earn from qualifying purchases. Sign up for email alerts from your faves. Many times they will have exclusive coupons and deals for their subscribers. You can visit the websites of your top five favorites, or do what I do and sign up for all of them under a separate email account. Just don’t forget to check it! Take note of Kids Eat Free nights. Many restaurants offer a special evening where kids eat free with the purchase of an adult entree. Ask to see if this offer can be combined with a coupon for even bigger savings. Restaurant.com. This site offers discounted vouchers to local restaurants. They are fully stocked with a variety of locations at the first of the month, and as the selection dwindles, the prices go down. Usually you can find a coupon code to get a $25 voucher for $2 near the end of the month. Personally, I buy my vouchers at the beginning of the month so I can get the best selection. Be sure to read the fine print for minimum purchase requirements. Daily deal sites. Eversave and Groupon are my two favorites for finding local deals. I check every day, and have accumulated a nice selection of vouchers for our summer outings. Be sure to take advantage of the refer-a-friend programs to earn yourself a freebie or two. Entertainment Book offers $10,000-$20,000 in local coupons for around $30-$35 (depending on your area). 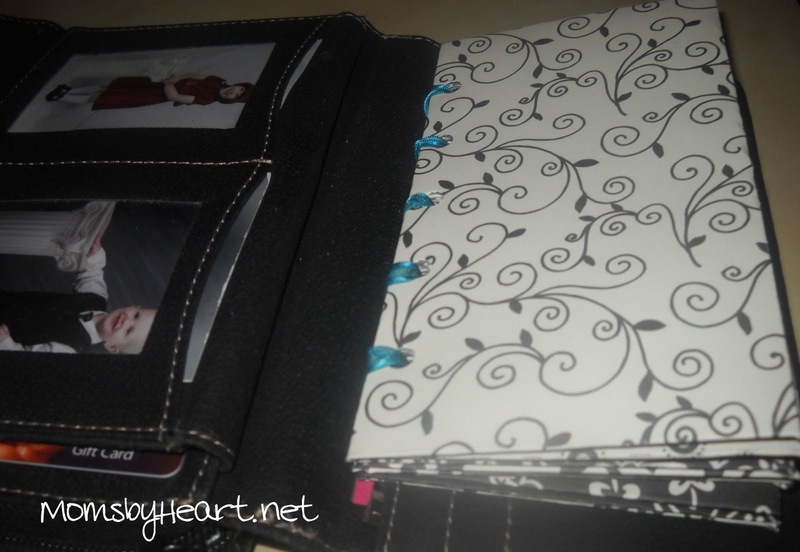 It’s a very handy book to own when you need to save but you still want to have fun! Survey sites. There are a few survey sites that I participate with just to get free restaurant gift cards. I can’t tell you how great it feels to walk into Olive Garden with five kids and not owe a dime at the end. It totally eliminates the dining-out guilt we mothers tend to have. Daily Survey Panel – earn gift cards to Chili’s, Olive Garden, Applebees and more. MyPoints – redeem for dozens of gift cards including tons of your favorite restaurants. Valued Opinions – as much as $5 per survey and up to $50 for specialist surveys. Discounted gift cards. These can sometimes be found on Ebay by searching under the name of your favorite restaurant. Just be sure to buy from a reputable seller with a high feedback rating. Subscribe to Moms by Heart. Each Friday I put together a list of printable restaurant coupons, and if there is a hot mid-week deal or coupon you’ll find it here as well! May 21, 2011 12:53 pm By Lori Post contains sponsored/affiliate links and I get commissions for purchases made from links. As an Amazon Associate I earn from qualifying purchases. If you’ve been looking for an easy way to organize your monthly budget, then head over to Christian Personal Finance for a list of ten free spreadsheets. April 2, 2011 10:45 am By Lori Post contains sponsored/affiliate links and I get commissions for purchases made from links. As an Amazon Associate I earn from qualifying purchases. Christian Personal Finance has a great post today on The Benefits of Having an Abundance Mentality. December 31, 2010 10:00 am By Lori Post contains sponsored/affiliate links and I get commissions for purchases made from links. As an Amazon Associate I earn from qualifying purchases. Hubbs and I are Dave Ramsey folks, and part of his Total Money Makeover plan is to establish a Cash Envelope System. In a nutshell, you divide the money you have allotted to cash expenses (food, auto/gas, clothing, etc.) into envelopes. When the envelope is empty, that’s it. This has been an extremely effective budgeting tool for me because every penny is in it’s proper place. If I overspend, I have to physically remove money from it’s assigned envelope – and I’m tellin’ ya, that hurts. If you’d like a financial makeover, I highly recommend this system! In case you’re wondering – yes, you can always just use plain envelopes. 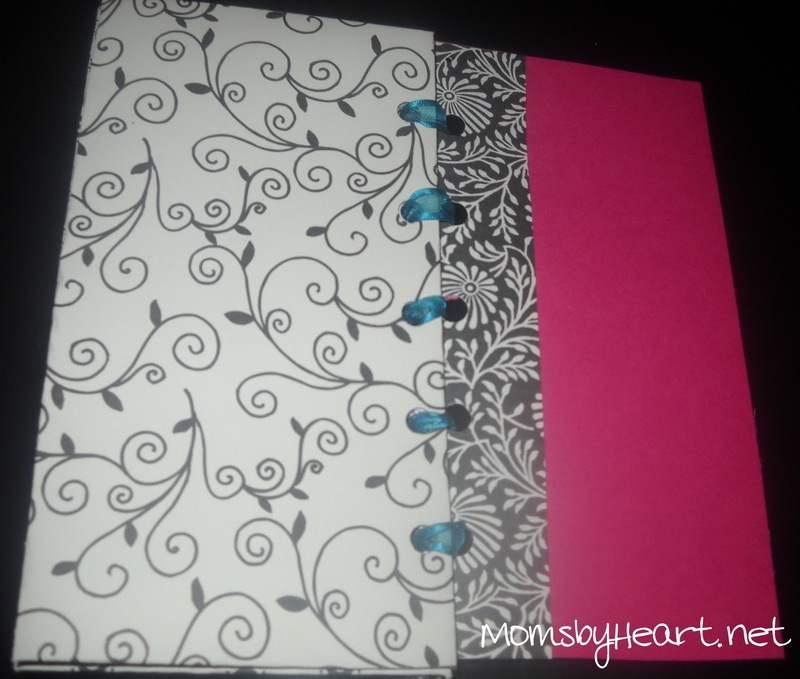 But I got some pretty scrapbook paper for Christmas, so this year I decided to use a free tutorial by Simple Dimples to make my own. 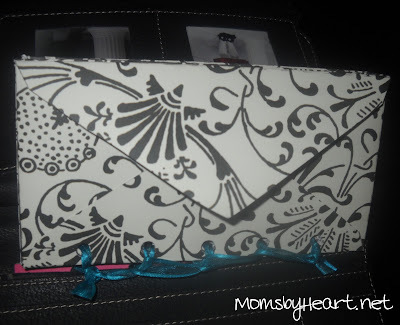 She has a printable template that makes this super-easy! Print the template onto your scrapbook paper. Then cut along the lines, fold, glue and voila! My favorite feature: it fits nicely into the checkbook pocket of your billfold.